I have to say, one of the prettiest venues out there is the Ritz Carlton Hotel in HMB. It sits right at the edge of a verdant bluff and you get this spectacular view of the Pacific Ocean. It’s truly a special place. 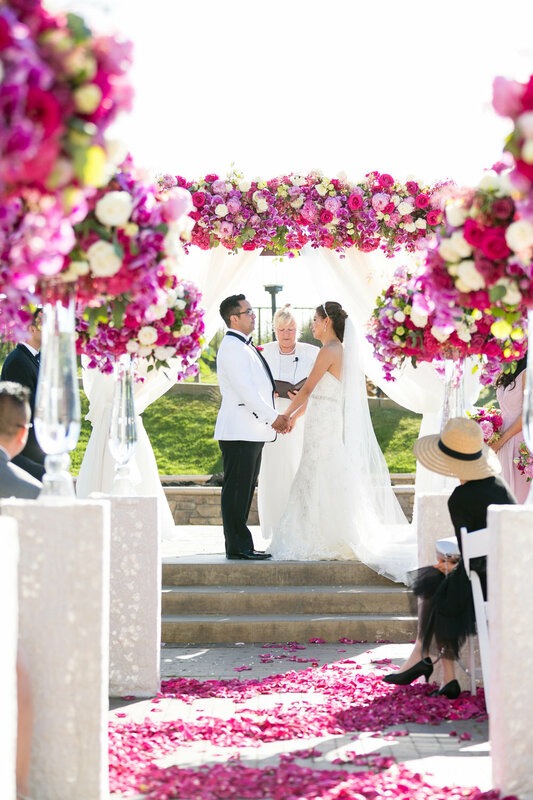 This next couple was lucky enough to have their wedding at the Ritz, and let me tell you - these photos by Kevin Chin will make you wish you got married at the Ritz too! Lisa and William’s big day was a nice break from all the blush and neutral weddings we’ve been getting lately. Talk about a bold color choice! 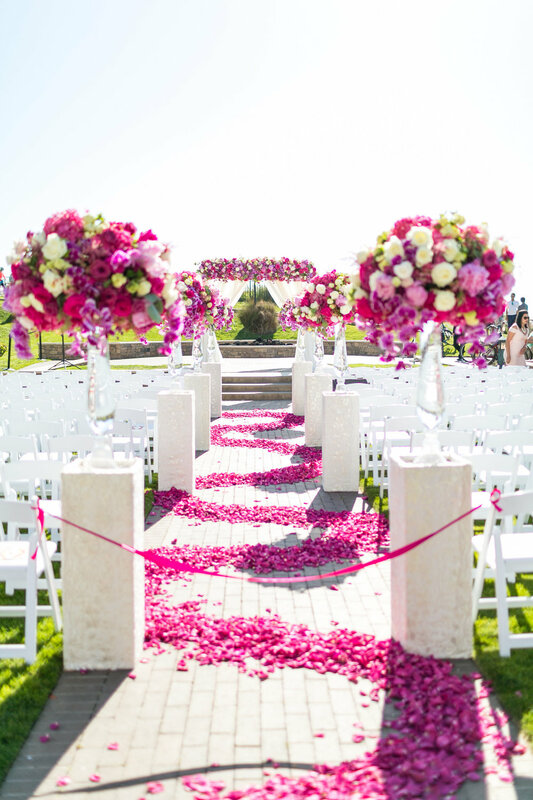 The fuschia-pink florals included the most exquisite orchids, peonies, different types of roses, ranunculus, anemones, hydrangea and vibernum. We added texture by using astilbe, little hellebores, astrantia, gloriosa and different bits of greenery. 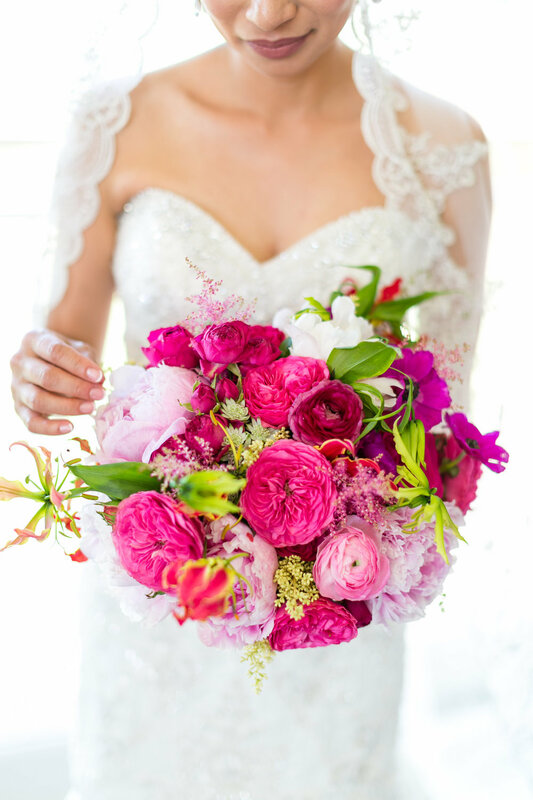 Can you believe that a single bridal bouquet or arrangement can easily have 20+ elements to it? We use a lot of materials to create unique, organic, textural arrangements and bouquets for our couples. 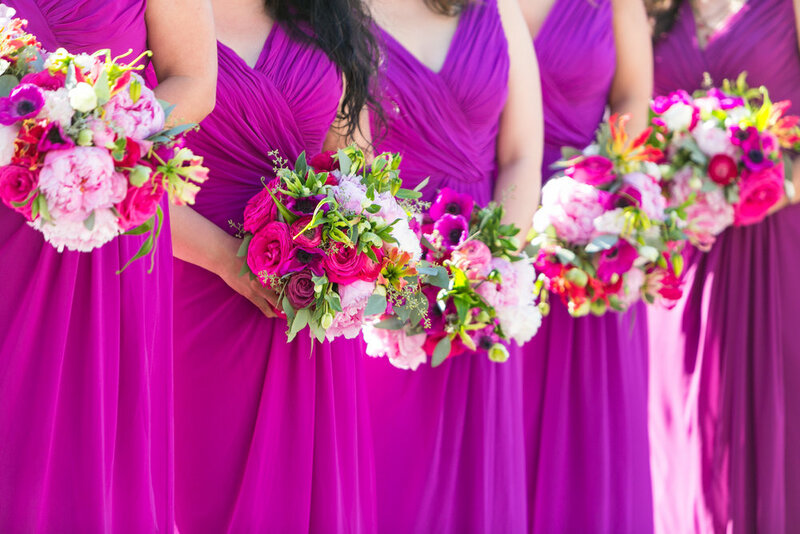 We hope you found this colorful wedding inspiring, and wishing Lisa and William all the best!